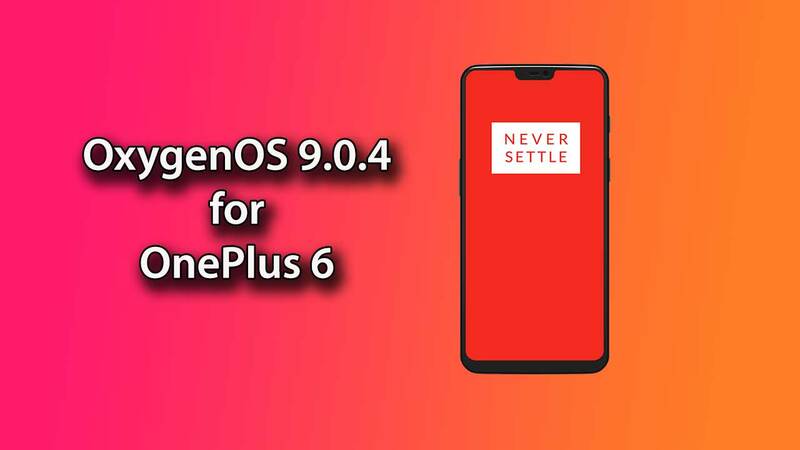 The new OxygenOS 9.0.4 update for OnePlus 6 device started rolling out via batches. The OTA update comes with full system optimizations, deep integration with Google Duo, bug fixes, and January 2019 Security Patch as well. The update is rolling out via OTA to the users and this will take some time as this is an incremental update. So, kindly check for system updates manually from the device settings. Otherwise, you can wait for the official OTA notification. OnePlus continuously trying to improve the stability and features on OxygenOS and now the latest update also brings January Security Patch and some bug fixes. You can also flash the OTA file on your OnePlus 6 manually by downloading it from below. The Firmware files are only for the OnePlus 6. Don’t try this ROM on any other device. Make sure to take a complete backup of your phone easily. Download the OxygenOS 9.0.4 for OnePlus 6 from above Copy ROM to a folder where adb installed. Reboot your phone after successful flashing. Download OxygenOS 9.0.4 OTA (.zip) file from the above link and save it on your internal phone memory. Now Go to Settings -> System Updates -> Settings Icon -> Local Upgrade & Select the OTA File. Select the upgrade now when the system prompts.